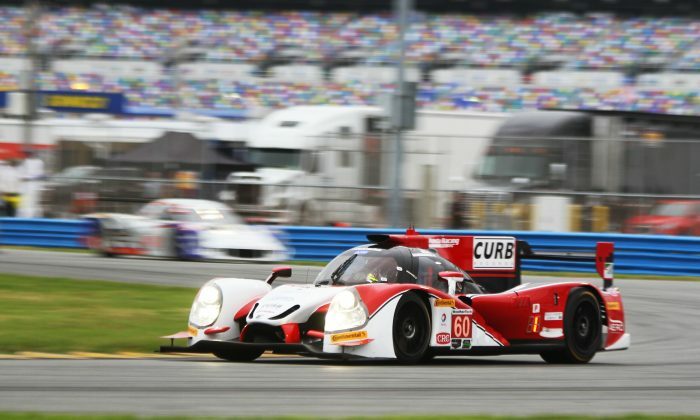 DAYTONA BEACH, Fla.—The 2916 sportscar season is underway as IMSA’s premier sportscar series—with a new sponsor and a new name, but the on-track action—returns to Daytona International Speedway’s famous banking for the 2016 Roar Before the Rolex 24. Now in its third year, the WeatherTech SportsCar Championship—the old Tudor series—continues to strengthen and refine its product: the fastest multi-class sports car racing on the North American continent. Fifty-four cars registered for the three-day pre-Rolex terst at Daytona: 13 Prototypes, including series stalwarts like the pair of Riley-Fords from Chip Ganassi Racing, a pair of gasoline-powered Mazdas, and the new SMP Racing BR-01-Nissan; 8 Prototype Challenge Orecas and 11 GT Le Mans cars including BMW Team RLL’s new turbocharged M6s and a trio of Ferrari’s new 488 GTEs. GT Daytona, now open to GT3 machinery, attracted 22 entries, including bunches of Audi R8 LMS GT3s and Lamborghini Huracans. The #60 Michael Shank Racing Ligier JS P2-Honda was quickest in both sessions Friday, followed by the Ligier-Honda of Extreme Speed Motorsports. The Wayne Taylor Racing Dallara-Chevrolet DP took second place in the morning session and third in the afternoon. Mazda’s new two-liter turbocharged inline four has pushed its pair of modified Lola chassis to new levels of performance, with the #55 car shared by Tristan Nunez, Jonathan Bomarito, and Spencer Pigot scoring seventh in the afternoon session, with what is essentially an unsorted chassis. 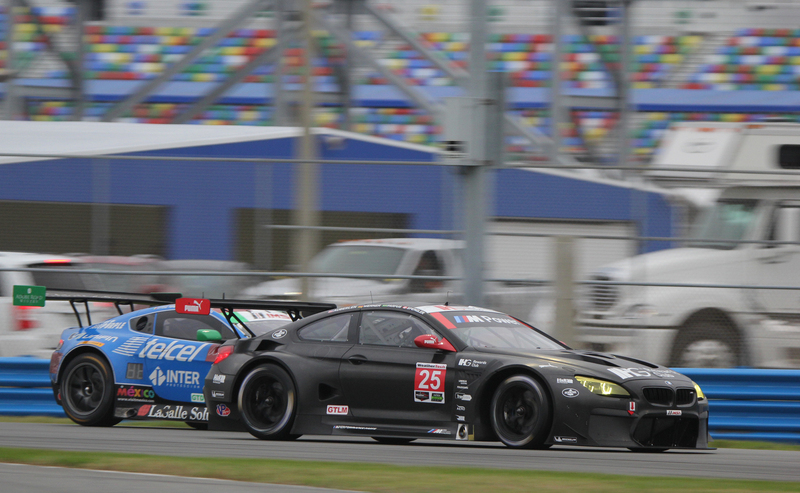 BMW’s new M6 proved quick out of the box, with each car scoring fastest GTLM time in one of the day’s sessions. As always, hundredths of a second separated the top cars in this always competitive class. The action continues Saturday, with cars on track from 9:00 a.m. until 8:15 p.m., and wraps up Sunday afternoon. 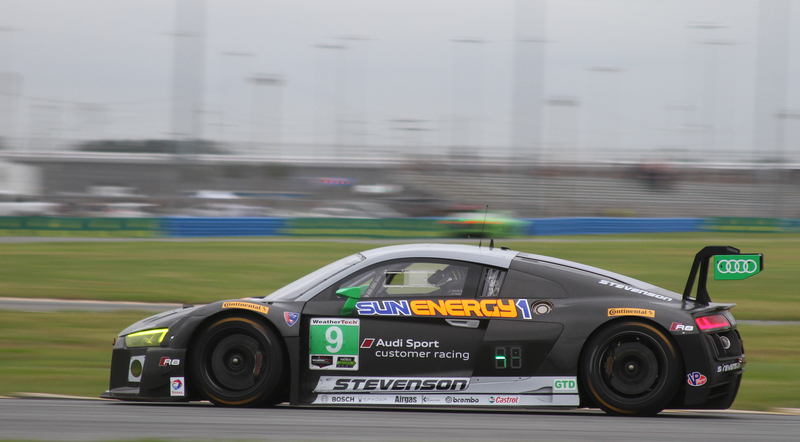 The season-opening Rolex 24 at Daytona runs from Saturday, Jan. 30 through Sunday, Jan. 31. Tickets can be purchased online through the Daytona International Speedway website.